Singapore Grants available for Cloud Based Call Centre Software. Companies in Singapore whether SMEs or MNCs are entitled to certain grants that offer them financial funds either to improve their operational and business efficiency or to help new entrepreneurs to start up their business without incurring unnecessary debts. While many businesses will be familiar in grants such as CDG (Capability Development Grant) and ICV Grant from SPRING Singapore, iSPRINT Grant (Increase SME Productivity with Infocomm Adoption & Transformation) from IMDA and SMEs Go Digital. Which companies have benefits greatly as these additional business funds have helped them either in upgrading their companies’ infrastructure either in hardware or software based or to tide over difficult financial times to maintain their business overheads. Although all the grants mentioned above have ceased in application, there are other grants available and this article will give a summary on how the grants are used for, terms and condition to apply and most importantly, how new or existing call centre companies can use the purchase or subscription of the cloud-based call centre software as part of the criteria to apply for the business grants offered by Singapore government agencies. First, let’s talk about EDG (Enterprise Development Grant) by Enterprise Singapore. EDG helps local companies to grow, innovate, improve their current business model and even extends its operations in the international platform. 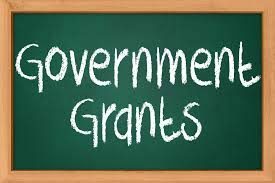 Basically, the grant funds up to 70% of any qualify projects costs that consists of 3rd party consultancy fees, software and equipment, and incremental of manpower cost for internal purpose. The qualifying criteria are that the company must be registered in Singapore and the office is locally based. With minimum 30% of local shareholding and have the financial means to start and complete the project. In this scenario, call centre that is new startup or existing call centre who wish to switch from on-premise call centre platform to cloud-based call centre model will benefit greatly from this EDG scheme. PSG wholly supports existing or new Singapore-based companies whom are keen on adopting new IT solutions and equipment to enhance their business processes. Officially launched on the 1st Apr 2018 by Enterprise Singapore, PSG offers sector-specific solutions in various industries that include retail, food, precision engineering, logistics, construction, and landscaping industries. PSG also supports the adoption of business and IT solutions in other areas of different industries, such as human resource management, financial management, data analytics, inventory tracking and so on. With up to 70% funding support, PSG helps and support companies to make long-term technology investments. For example, setting up of global call centre using cloud-based call centre software as the IT business solution. To qualify for Productivity Solutions Grant. The applying companies must be registered and operating in Singapore, have a minimum of 30% local shareholding in the company (for selected solutions only) and have purchased/lease or subscribe the IT solutions or equipment from service providers and used in Singapore. While there are other grants available such as StartupSG tech, Startup SG Accelerator and MRA (Market Readiness Assistance) grant. The terms and conditions to apply for these grants are different and frankly speaking, I am not 100% sure if companies purchasing or leasing the cloud-based call canter software are qualify and eligible to get fundings approved. Thus on the safe side, as long as the companies have met the criteria and submitted the necessary documents. Companies shall be able to get the EDG or PSG funding for their cloud-based call centre’s expense. What is the Differences in getting a IVR Software and IVR as a Service? Why SMS Gateway in Singapore is still on demand? Leading Cloud-Based Call Centre in Asia Pacific. Website design by Sotavento Medios © 2018 Converged Solutions. All rights reserved.